Instructor User Guide ResourcesHow do I obtain the URL for a file or folder in Resources? Each file and folder in Resources has its own URL. 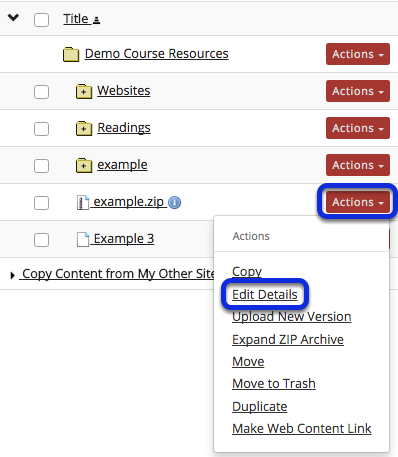 Instructors can create links to folders or files in the Syllabus tool, Announcements tool or send an email to students containing the link, for example. The link is useful throughout a single Sakai site.